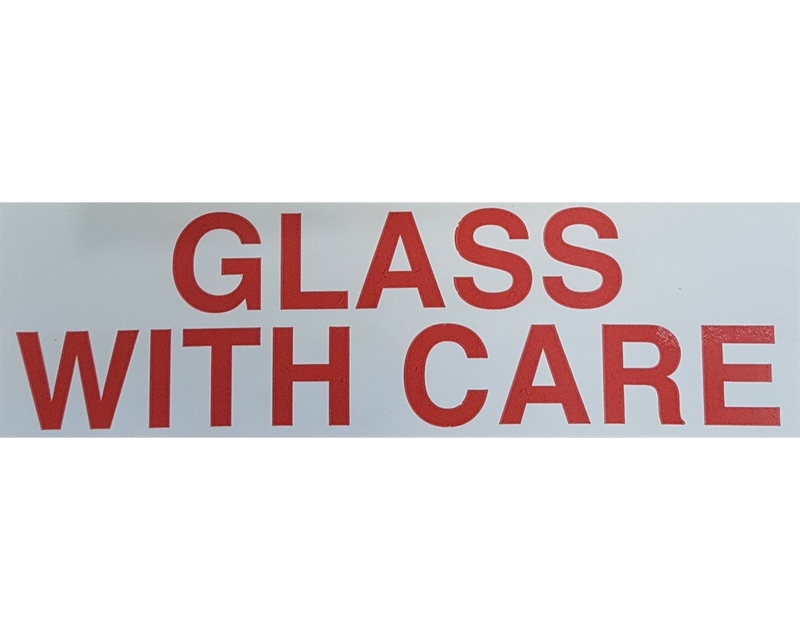 If you are shipping products made out of glass, let it be known with our warning Glass With Care labels. You can then rest assured that your item will be handled carefully during transport and arrive in perfect condition at your customer's doorstep! Easy-to-use, our Glass With Care labels are designed to adhere to all surfaces and to resist humidity and tearing. These labels printed with warning messages are an excellent solution for e-commerce businesses with fragile products that need to be carried carefully during shipment. Just stick them outside your packaging in a visible place to communicate clear shipment instructions.